The sound quality is good. Dialogue is crisp and bass tones are good. Some odd reverb can be heard during dialogue about 20 minutes in randomly, very odd for that 1 second. 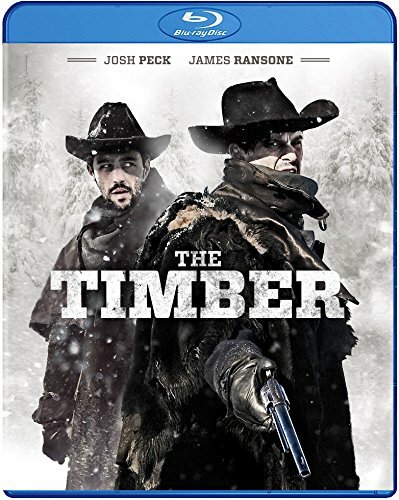 The Timber is a western film ran on the rugged snowy lands which looks really good on Blu-Ray. Yes the film looks good but is it a good story a good watch? The story is in the slow and boring side that’s cut or edited in a not so good way I feel. We have some action some gore which is nice but most of the film is more like an environmental hike with some obstacles like a capable and or bear. Some characters who seemed to be a great addition with some balls are re routed and another guy with no rung and one eye pops up in random places which shouldn’t be due to the distance the brothers put on him but winds up there. The bad outweighs the good here for this film which is a shame because it looked promising and it looks really good picture quality wise. Wish the story had more of a western feel. It’s missing that grit that gunslinger mentality. Also the main obstacles in the story are so small like the guy trying to take one of the guys land at the end, There is only like 1 minute build up at the start of the film same with the guy the two brothers are hunting down. The find him but that was handled in like one minute with no build up to the guy they are hunting down who only gets a few seconds of screen time. The movie just feel like I walk in on the movie half way through and missed a bunch of key elements. Overall the film was a good look but the watch was slow. With some story tweaking, better editing and some character development along with better placement of secondary characters and we could have a good watch. Add some more of that western grit with some great gun slinging banging and the film would have appealed to a wider audience. But mainly please stick to the main conflicts of the movie as those where so small it felt like I missed a big part of the film.